At Capital Glaziers UK Ltd, Glass & Glazing we pride ourselves on the fact that our experienced glaziers can respond to all your glazing emergencies within a genuine 1 hour time frame. Our glazing services are varied and as such we can repair or at the very least temporally make safe the following, Double Glazing, Single Glazing, Shopfronts, Sash Windows, Single Glazed Doors, Double Glazed Doors, Fire Rated Glass, Georgian Wire Cast and Georgian Wire Polished Plate, Mirrors, Laminated Glass, Toughened Glass, Float Glass, Double Glazed Units and Single Glazed Windows. Leaving your home, office or factory secure whilst we obtain a new window as required, Unfortunately not all windows can be repaired with one visit as some windows and most doors will need to have toughened safety glass or a double glazed unit can not be taken from a shelf as these are all individually and must be manufactured to measure. 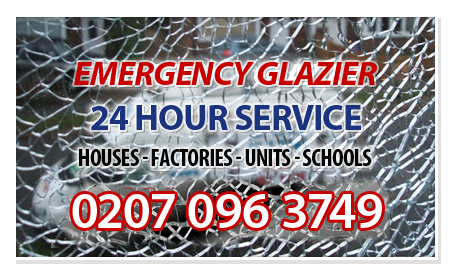 Capital Glaziers UK Ltd, Glass & Glazing operate throughout the area’s as above and provide a professional 24hr glazing and glass boarding service to secure your property what ever time of day or night 24/7. We can be reached on our local telephone number for your piece of mind all glaziers carried identification with them as standard. So for all your glass and glazing needs, telephone a local glazier that can offer local knowledge and a professional approach.